the opening reception, October 30, 6:00 p.m.
Antioxidantes is the exhibition that unites the work of Mauricio Cervantes (Mexico) and Sati Zech (Germany). Each artist has a distinct technique and style. Yet, this show presents points of convergence between them. 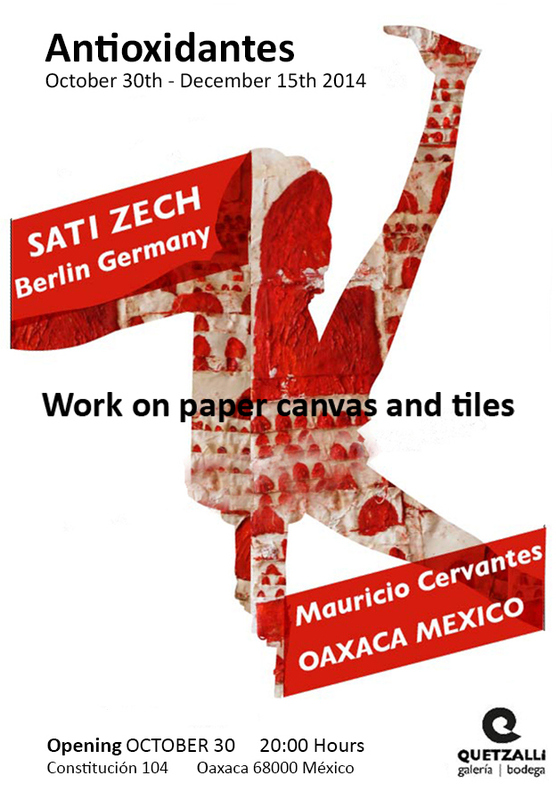 Sati Zech works with canvas, leather and wool plus other materials. He is noted for the use of the color red in his work. Mauricio paints abstract forms on cement tiles using oxidation processes for interest and emphasis. Inauguración 30 de Octubre, 20:00 hrs. Galería Quetzalli, Constitución 104, Col. Centro, Oaxaca. Oax.